Established in 1990, the reserve contains over 200.000 hectares of uncontaminated nature. It covers an area including the Pollino, Monte Alpi and Orsomarso mountain ranges and contains 56 municipalities belonging to the provinces of Potenza, Matera and Cosenza. The reserve is extremely rich in monuments and archaeological remains, ruins of ancient buildings, castles and fortresses as well as convents, monasteries, sanctuaries, churches and chapels. The towns in the area are incredibly tied to tradition, with inhabitants maintaining the use of typical costume on special occasions and genuine local cuisine. 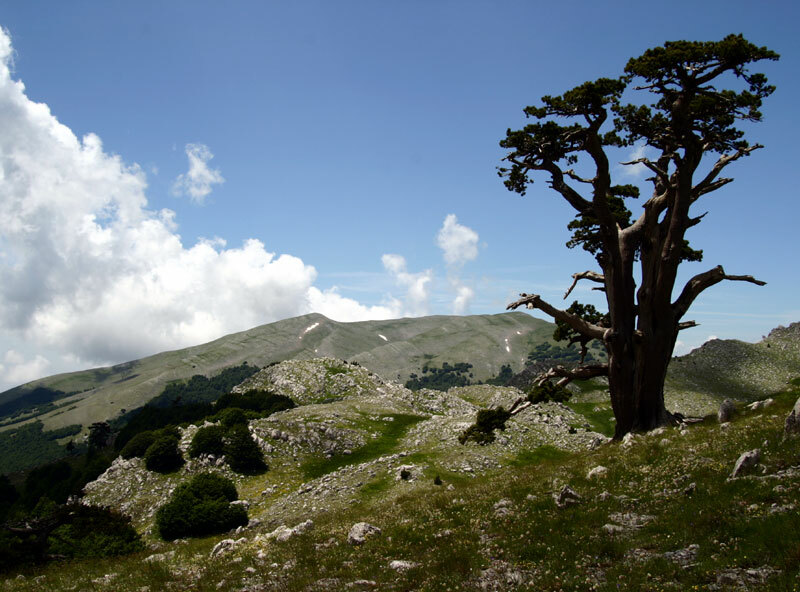 One of the most common itineraries is that to the Monte la Spina mountain, where you can find spectacular trees known as Pini Loricati: age old pines that over the years have grown in peculiar forms and angles in a beech forest surrounded by a pristine green. Copyright © 2019 Agriturismo Ricciardulli - azienda agricola immersa nel verde, a due passi dall'incontaminata costa jonica della Basilicata - Policoro (MT). All Rights Reserved.